Financial institutions are recently in the spotlight of the crisis and take advantage of the network as a viralizador of their CSR activities. 1. - The traditional communication made ​​by the Foundation of the Entities, transferring their activities and aid programs to the online environment. 2. - The direct fund-raising as ING DIRECT who maintain an alliance with Unicef ​​and develops specific multichannel campaign to build schools in Zambia, India and Brazil. Highlights the success of his campaign llévalos a la escuela for its great originality and creative power, combining web and mobile devices. A variation of this is to provide spaces where NGOs promote their solidarity initiatives, communicate their actions being fans themselves with their selections votes which projects should receive contributions. 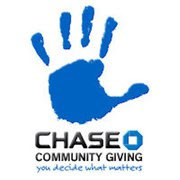 Chase with 3.815 million fans on its Facebook page Chase Community Giving has distributed since 2009, more than $ 15 M to 400 NGOs among the best games projects. Amex and MEMBER PROJECT with 779,621 fans for its part has a similar project donations of time and money while NGO projects covers most votes in your page, $ 4.2 M in the last year.